Most women experience breast changes at some time. Your age, hormone levels, and medicines you take may cause lumps, bumps, and discharges (fluids that are not breast milk). If you have a breast lump, pain, discharge or skin irritation, see your health care provider. 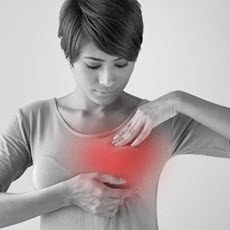 Minor and serious breast problems have similar symptoms. Although many women fear cancer, most breast problems are not cancer.